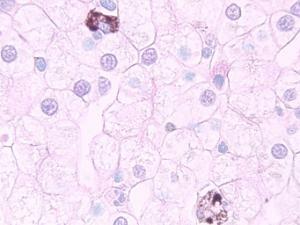 Necturus liver. DNA in the nucleus is green; the nucleolus is red-pink. 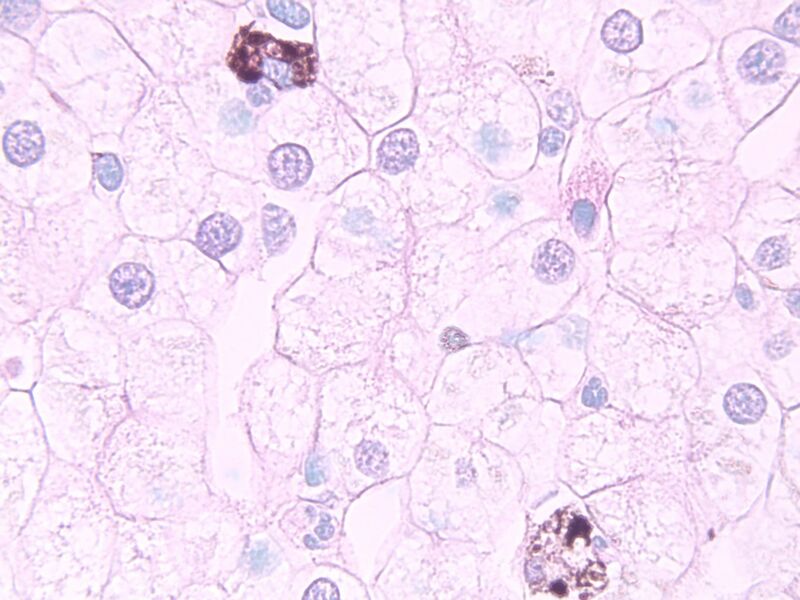 The RNA containing cytoplasm with five pink granulations. Compare to RNA Removed (sect) mgp.